Did you FASTNACHT today? | A.B.E. Remodeling, INC.
Hello Everyone... the big question of today, Did you eat your Fastnacht donuts?? FASTNACHT DAY is an annual Pennsylvania Dutch celebration that falls on Shrove Tuesday, the day before Ash Wednesday. The word translates to "Fast Night" in English. The tradition is to eat the very best foods, which are part of the German tradition, and lots of it, before the Lenten fast. Fastnachts (pronounced fost-nokts in German) are doughnuts. There are three types of Fastnachts, one made with yeast, one made with baking powder, and one made with potatoes and yeast. 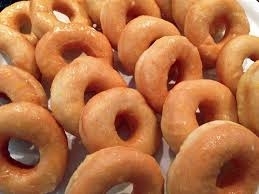 All are slightly crispy on the outside and not as sweet as standard doughnuts. History Traditionally, fastnachts are made to use up the lard, sugar, butter, eggs and other rich foods in a house before the austere diet of Lent begins. In Catholic andProtestant countries, Fastnacht Day is also called "Fat Tuesday," or "Mardi Gras," a name which predates the Reformation and referred to the Christian tradition of eating rich foods before the Lenten fast began. In some South American countries, the day is associated with Carnival, a festival of dancing, drinking and debauchery. "Carnival," which is the English spelling, derives from the words "carne levar," or "meat takeaway," another Lenten tradition. Fastnacht can also be spelled in various ways, such as "fasnacht", "fassenacht," or "faschnacht." The word "fastnacht" means "the night before the fast," since the doughnuts are eaten the night before Lent, when fasting is usually observed by many Christians until Easter Sunday. Making and eating fastnachts was a way to consume all the fats, such as butter and lard, kept in the house pantry, as these rich ingredients were seen as lavish and were not supposed to be eaten during the Lenten season. One popular recipe is the one that calls for mixing the dough with mashed potatoes, which gives the yeast raised fastnachts a flavor all its own, not be confused with commercial donuts. Since Pennsylvania Dutch farm families were quite large, when the "Huis Vrouw" (housewife) began to fry the raised fastnachts in her warm kitchen the tantalizing smell of these raised donut-like cakes lingered throughout the farmhouse. Naturally, the wiser members of the family were awoken, and realized that if they got up early they could share in Mother's fastnacht treats. But the less wise ones or lazy ones may have continued in their slumber, while the siblings enjoyed fresh fastnachts with a beverage. The last person up on Shrove Tuesday was called the "Fastnacht" and kidded all day long for being late for this wonderful breakfast. In the same way, the last person up on Ash Wednesday was also teased, and called the "Ashepuddle", whose chore for the day was to carry the ashes in the stoves and ovens outside to the ash pile. Fastnachts were a winter staple of the Dutch housewife and could be eaten long past Ash Wednesday, even though originally fried in pork lard, the day before Lent. Shrove Tuesday fastnacht baking was a way of life in which the Pennsylvania Dutch people celebrated its ethnicity, more than going to church; it was a folk-life practice that was more personal. These yeast raised cakes had been rolled out and then cut into squares, triangles, or rectangles to rise near an old cast iron kitchen stove. Older Church congregations in the East Penn Valley still have Fastnacht Church Socials or suppers in which natives gather for fellowship, enjoying their Pennsylvania Dutchheritage. In today's time several large corporations are also producing fastnacht doughnuts in a unique way. The substitution of coke in for the milk or coffee of the original recipe; it gave the doughnut a special/unique flavor. This was later to become the Coca Cola recipe of the fastnacht doughnut. Traditionally the fastnacht didn't have a hole in it, it was cut, or slit, through the middle (like a bagel) to allow air and the placement of condiments such as jelly, and butter. Some cultures add molasses (king syrup) or "Turkey Brand" syrup to enhance the flavor. Place the flour, baking powder, salt and mace in a medium bowl. Stir with a wire whisk to combine. Set aside. In a large bowl of an electric mixer, cream together the shortening and sugar until fluffy. Add the eggs and mix until creamy. Gradually add the dry ingredients, alternating with the milk, mixing on low speed, just until well-combined. Place on a floured board. Work the dough lightly with hands, adding a little more flour as needed if it is too sticky. (This dough should be very soft, something like a biscuit dough, so don't add more flour than necessary.) Gently roll the dough into a 1/2-inch thick rectangle or square. Using a sharp knife, cut into 2-inch squares or similarly sized rectangles. Heat the oil in a deep-sided pot over medium heat to 375°F. Carefully add the fastnachts to the oil, about 6 per batch, and fry until well-browned on one side, about 2 minutes. Flip and brown the other side for another 2 or 3 minutes. Remove with a slotted spoon and place on a baking sheet lined with paper towels to drain. Repeat with the remaining fastnachts. Scald milk and add mashed potatoes, sugar, salt, and lard. Cool until lukewarm. Add eggs. Add yeast and enough flour to make a soft dough. Knead well and place in a greased bowl. Cover with a cloth and let rise about 1½ hours. Roll ¼ inch thick on a floured board. Place on a cloth and let rise until doubled in size and fry in hot fat. In a large bowl combine all ingredients, but add flour slowly. Divide dough in half and roll to 1/2" thickness. Cut with doughnut cutter. Fry in deep fat or oil, turning when brown. Drain on paper towels and let cool. Date: Fastnacht Day is dependent upon the day of Easter, and Ash Wednesday. Easter Day varies from year to year because of the spring equinox, or full moon, and is usually the last Sunday of the month of March. Fastnacht Day takes place 47 days before Easter Day, on the Tuesday prior to Ash Wednesday.